“Recognising the need to question our categorisation and how we pigeon-hole society doesn’t only have analytical power. It also provides us with a different way of looking at society.” An interview. Migrants wait in line to get a meal on the Greek island of Kos, July 2015. Santi Palacios / Press Association. All rights reserved. Rosemary Bechler: Tell us about the work you do and set it in context for us. Nando Sigona: My main areas of work are around the refugee crisis and how it is configured in different European countries, this is part of a large project funded by the Economic and Social Research Council and DFID (www.medmig.info) which looks at migration drivers, experiences and routes of people who crossed into Italy, Greece, and Malta by boat. We have completed 500 interviews with newly arrived migrants and refugees already, and we look at the relationship between the different profiles of the people who arrive, the different journeys they made, and what would be their motivation for moving again. I have been looking at the death rates across different sea routes. I think this is a very important factor to consider in terms of the impact of changing European asylum and border policy. For example, last year the Turkey-Greece route was much safer than the Libya-Italy route. In the latter, it was one person out of 53 who travelled that died: on the other, one person out of one thousand and forty nine. But in the first five months of 2016 the Greek route has become more dangerous so that now we are down to 1 in maybe every 400 arrivals. The Central Mediterranean route has also become more dangerous with a person dying at sea every 25 or so arrivals. How can we explain this? If you listen to Frontex, they will tell you that it is all about the bad weather conditions. But obviously last year there was bad weather as well, and we are only talking about a very short sea journey in the case of Greece. These are the questions we should ask. Those 500 interviews all took place in 2015, so if there was a specific policy change, announcement or event, this was a way of recording its impact on migrant decision making. The interviews included people working in the field, from small activist groups in Rome, or in Milan rail station, or in Greece, to the ministers of those countries. We were trying to capture how the crisis was constructed and managed in different contexts. So in the case of Italy, the country went in a very short space of time from having very few asylum seekers to having around 100,000 people in official reception facilities. They had to increase the capacity to offer shelter so rapidly, and there was this very Italian story about corruption and bribes that came out, Mafia Capitale, that is hard to understand and explain comparatively-speaking. It is quite interesting how the ‘crisis mood’ – if we can call it that – can be mobilised even in the absence of actual refugees. So this research is also about the idea that the crisis – the ‘refugee crisis’ that is – has been constructed by Europe and the European Union. How much is it linked to a crisis of the EU as a political project? And how much has it been used by new nationalist movements in the various countries to mobilise support? In what sense is this ‘a crisis’, and in what ways are the narratives of the ‘crisis’ serving different kinds of agenda? The UK is a very good example, because, as I wrote recently, ‘There is no refugee crisis in the UK’ whatever they say. If you look at the numbers there is actually a very slight increase compared to previous years. If you look at the numbers of unaccompanied minors it is actually lower than it was in 2008. A country like Sweden in the last year alone has received more unaccompanied minors (about 35,000) than the UK has in the last ten years put together. So it is quite interesting how the ‘crisis mood’ – if we can call it that – can be mobilised even in the absence of actual refugees. Another project I’m working on with colleagues at UCL and Oxford is linked to the specific situation of unaccompanied minors. We are looking at the question: what happens to them once they become adults? A lot of the rights and protections young people under 18 have is linked to the UN Convention for the Rights of the Child, and the idea of the best interests of the child which justifies our support. But once they are 18 what happens? They lose that aura of protection. We interview young people several times – about every four months – through the transition into adulthood, and try to map the outcomes in terms of their wellbeing. For this study, we have conducted interviews with young people who are now regular residents making decisions about their futures, with those who have moved back to Italy as a kind of safety net from the UK to avoid being sent back to Afghanistan or elsewhere, but we also did interviews in Indonesia as we wrote recently in openDemocracy, with people who were in the UK, were deported back to Afghanistan and while trying to reach Australia were caught in the net of Australia’s Pacific solution. 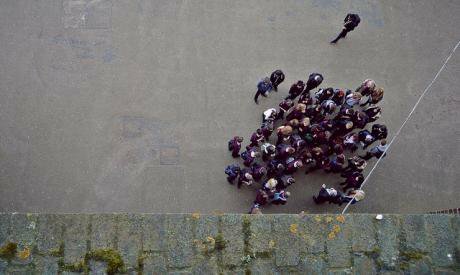 Rosemary: How does that connect with Calais and the campaign for bringing unaccompanied minors to the UK? Nando: As part of the Dublin regulation, the general rule is that every asylum seeker must have their asylum claim assessed in the first country they reach in the European Union. However, for minors there is a slightly different arrangement such that if they can demonstrate they have strong family links in one particular country they may be moved there. This is what is at stake in the Citizens UK campaign for speeding up the decisions around young people in Calais… However, this rule is not applied often and also takes quite a long time. It may take months for a young person to apply for asylum in one particular country, let alone then making a request for a transfer somewhere else. What is suggested now by campaigners is that even if the first application for asylum in France has not been submitted, if we can show these links, they should be moved straight there. It is an important issue. But of course, last autumn when Germany took a more open and humanitarian approach to the situation of the Syrian refugees, there was a de facto suspension of the Dublin Regulation, and that caused even more confusion, with 35,000 unaccompanied minors arriving in Sweden because it has a very good reputation for the treatment of young people. There are very different opportunities in different parts of Europe. Rosemary: Has anyone done a sort of up-to-date map of migrant opportunities? Nando: This is a very risky thing to do, because it can so easily get co-opted into what anti-immigration groups call the ‘asylum shopping’ narrative. Actually, the main reason why people move to a particular place is because they have family members or friends and therefore a social network that will enable them to start rebuilding their lives. A lot of EU member states tend to over-emphasise the pull factors of the welfare systems and the desire to access job markets. They are rather Eurocentric from this point of view. A lot of EU member states tend to over-emphasise the pull factors of the welfare systems and the desire to access job markets. They are rather Eurocentric from this point of view. But there are different needs and expectations. 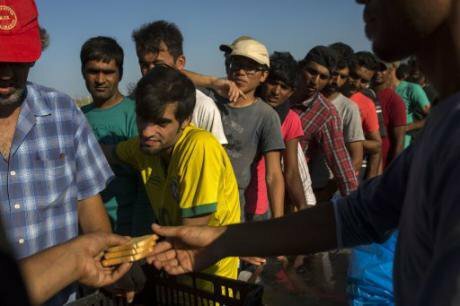 Take Italy and the arrival of young Afghani people. For them, Italy is very much a place of transit, and they will tend to stay for a very short time before moving on to different places where they have good connections. But Egyptian minors are likely to head for Italy and not plan to move further. This is partly because the Egyptian community has a long history of migration in Italy and it is closer to their country of origin, so Italy is the only EU country that has a sizeable number of Egyptian unaccompanied minors. They are not so concerned about acquiring an education, but they are keen on sending money back home to contribute to their family household income, so Italy is a better bet, as the informal job market is perhaps more accessible than in other countries. A balance has to be struck between the resources available, the different opportunity structures, but also how these match the needs and the plans of the group we are talking about. There is this misunderstanding that somehow someone who is a refugee is not allowed to have preferences about what comes next in their lives. But alongside the obvious and paramount need for protection, there is also a paramount need to start to rebuild their lives. People don’t want to live all their lives parked in refugee camps. Rosemary: It’s not exactly surprising. Nando: No, it’s not very surprising, but a lot of the debate if you really unpack it amounts to people saying: “if people then make a choice to come here they are not genuine. They should basically be content with just staying where they are – because they are being kept alive”. Look at families with children. What has happened in the last couple of years is essentially the realisation on the part of the parents that surviving in a camp doesn’t offer any future for their kids. You already have a lost generation of kids that have been reared in camps without any education at all, despite what some organisations will tell you about providing them with an education, (those who have received some are a tiny minority in fact). So if you want to give people a future at all, you will try to move, and when there was an opportunity for people to travel fairly easily from Turkey to Greece, that is why people took that opportunity. Rosemary: So to what extent do EU member states look sideways at each other and ask themselves, how can we make sure that we provide more disincentives than our neighbours. Is there an identifiable ‘race to the bottom’ criterion like that? Nando: That is certainly going on and has been going on for quite some time. Since the mid-2000s you have also had an attempt to harmonise the asylum arrangements, both process and reception. But this process has always encountered a massive resistance on the part of some member states. Even if they were formally subscribing to the harmonisation policy, there was resistance because of the way that this touches on issues of nationalism, the perception of who you are, the question of borders as a symbol for the sense of retaining some kind of control over your country, which you can see in a period of globalisation or Europeanisation of the markets is going to be something that people will try and anchor themselves to. It is very easy for political entrepreneurs to mobilise this set of hopes and fears. 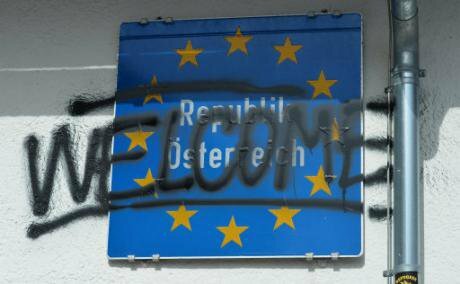 "Welcome" painted on Austrian Border sign after protests in the village of Brenner on the Italian-Austrian border, Sunday, April 3, 2016. Kerstin Joensson / Press Association. All rights reserved.Within this crisis, I guess we have also seen some countries really using it to raise other arguments, like anti-European sentiment. You can see this on a daily basis in the British tabloids, but also in other EU Member States. Take, for example, the tension between Austria and Italy about building this wall in the Brenner Pass ‘without consulting Bolzano’, which goes back to a history of divided communities in this special status region. You have all this stuff going on, but there is some evidence that there are more migrants trying to move down from Austria to Italy than from Italy to Austria, so this rather ran counter to the story that Austrian politicians were trying to promote. There is also this idea of rebordering Europe going on at the moment which is very closely tied to the problem of refugee protection within the EU states. Yes, we have seen a significant increase in the number of people who have arrived, but part of the huge problem that we see in conditions in Greece, in Idomeni – the humanitarian crisis there amounts to a failure to provide support in managing those arrivals. In a nutshell it is a policy-made humanitarian crisis. In a nutshell it is a policy-made humanitarian crisis. Another way to look at this is to remember the refugee crisis in 2014 when Italy was receiving about one hundred and seventy thousand people. Then in 2015, Greece was suddenly getting up to eight hundred and fifty thousand people, at which point the situation in Italy, still receiving one hundred and fifty thousand became much more ‘normal’! If you look at media coverage of this, the crisis was de facto normalised, partly because it suited the Renzi Government to portray itself as capable of managing the inflows, and showing that they had put a structure in place capable of managing this. That is an interesting contrast with Greece. In Italy you no longer have boats arriving on the coast and people disembarking spontaneously. The search and rescue operation completely transformed the way we used to think about the arrival of people by boat on Lampedusa or Italian shores. People got put onto boats. This helped to create the sense of more control. So Italy managed arrivals and rescue operations well. What the Italian Government didn’t then do was come up with a convincing follow-up operation. Traditionally, Italy has constructed itself as mostly a transit country and until recently it would rather grant people short-term (humanitarian) visas, than keep people undocumented within the country. The idea was that by giving new comers a temporary permit, it would enable them to either find a job, somehow, and then move to a longer term permission to stay, or move to another country. But what has happened during the crisis is that there has been a Europeanisation of the asylum system. So Italy has been under increasing pressure not to do this any more, and the creation of the hotspot system for managing sea arrivals and the directly involvement of EASO in the asylum process has meant for Italy, the production of undocumented migrants. Italy has been pushed into fingerprinting everyone and is not allowed to provide any more short-term permission to stay. So now you have a lot of people stuck in Italy a bit like they are stuck in Greece, because the system has moved from one that was more suited to the ‘Italian national interest’ to one structured in a new way, to service a different agenda. And EU hotpots are not really working because they were very much justified as part of the relocation scheme that never really happened as promised. The idea was that hotspots were a kind of hub where people were brought together, fingerprinted and then quickly transferred to a new temporary location until relocated or removed. But the number of relocations shows that it is going to be much more difficult than that, because despite only committing to quite a small number of relocations, EU states haven’t managed to achieve even those small numbers. Forced removal is also not an option for a number of economic, humanitarian and geopolitical reasons. The result is a growing population of irregularised migrants who live in limbo with a pending deportation order. Rosemary: So, Nando where does your work on superdiversity fit into this? Nando: There is also an element of superdiversity in the refugee crisis. A lot of the focus has been on people’s arrival, so we are obsessed with the numbers, how many people are getting to Italy, to Greece etc., fine. But if you just go into it in a little more depth, it is quite interesting. Take the Aegean route. You have a fairly small number of nationalities, mostly from war-torn countries. Over 90% of the arrivals in 2015 came from five countries, and then a small percentage of others. But if you look at the Central Mediterranean route, the top 5 nationalities only accounted for 60% of arrivals, the ‘others’ were 40%. Look at these more closely and the number of countries of origin constituting more than 1% of the arrivals is more than twenty. Why is this interesting? Because the whole refugee crisis narrative assumes that the only real refugees are the Syrians. The Geneva Convention, which does not discriminate by nationality, has been by definition effectively undermined and bypassed in this response. Now if we look at the diversity of the migration flow from a post-arrival perspective, it gets even more interesting. How people will settle down and integrate in their host country, how this country will provide for their needs has a lot to do with languages spoken, migration and colonial histories, gender and age profile, and the social networks that can be mobilised by newcomers. So from the perspective of the receiving countries, there is a very different issue that you have to handle, in terms not only of how the social services can deal with such a variety, but it also raises the question in a sense of how (not how much, but what kind of) diverse these societies are becoming. This is part of a line of thought that is preoccupied with how, since the end of the Soviet Union, arrivals and new migration have produced a diversification of our societies, especially in Europe’s largest cities. So if you think of a city like London, we talk about superdiversity, not just in terms of countries of origin. You might think of faith and religious affiliation, for example, compared to the past, but most important point is to convey the layering, in the sense of generations of migration, and the complexity of the demos. Long-established communities coming from a colonial history overlaid by new geo-political conditions that bring in all sorts of new forms of mobility. This is a really interesting social phenomenon, which produces and is produced by broader societal transformation. My interest in this is particularly in the areas of solidarity-building and how superdiversity engages or not with the issue of increasing social and wealth inequality. One solution that I see coming out of this effort is that people tend to aggregate around shared localities, something I sometimes call hyper-localism. To what extent can this diversification of the demos be mapped onto new patterns of social inequality, but also new forms of social mobilisation? Take issues of racism and fighting racism. There is an interesting debate with some antiracist campaigners who think that superdiversity is basically only a fetishisation of diversity. This may be true for some, the term has been appropriated by different social actors. From my perspective, what I want to understand is how the immigration regime is racialized. In other words, we have to think about how migration status and its precariousness intersect the colour line. Ethnic belonging and migration status keep producing new forms of discrimination that we do need to understand. There are differences between an undocumented migrant of Jamaican background, and a white undocumented migrant with an Australian or US passport. The latter is not even perceived as undocumented. If you are thinking about this from the perspective of how you can mobilise against social inequality, you have to address different kinds of issues. There are challenges to mobilising in superdiversity. When you used to have a critical mass of people from a national group or sharing a language, it was relatively easier to understand what the bonding element was. If you look at the undocumented migrant movements within the US, Mexican undocumented migrants have really managed to impact on the debate on migration within the country, with all the stories of the Dreamers movement, their occupation of Barack Obama’s electoral office before the elections – with their considerable discipline which has allowed them to tap into the legal Mexican residents’ community. Here in the UK it is much more fragmented. It is hard to build a narrative that will join people together, and that has to be thought about and is really hard to come up with. One solution that I see coming out of this effort is that people tend to aggregate around shared localities, something I sometimes call hyper-localism: “What we have in common is that people share the same allotment and we live on the same street and that is the basis of our solidarity…”. Hyper-localism is one possible response to this superdiversity. The problem is especially in some countries, where social mixing in urban areas is minimal, and so hyper-localist movements tend to be socio-economically (and ethnically) homogeneous. Rosemary: Where does the concept come from? Nando Sigona, Deputy Director of IRiS, own photo. All rights reserved.That article was very much about London and observing the way that London had become more diverse. It was a good article. But what has happened since has been an attempt to test if this was also applicable in other contexts. If I look at the different work that has been put in place since, the concept itself has been stretched in different directions. There are also lots of points of contact with other concepts such as intersectionality and Ulrick Beck’s cosmopolitanisation, for example. What a superdiversity lens wants to avoid is the presumption that your nationality or ethnic group make you who you are. People may strategically aggregate for different reasons or goals and how we understand who we are varies according to contexts and interactions. However there are some forms of identification that are more solid than others and some people who have more or less power over how they are identified by others. If you are a London-born second generation LGTBI medical doctor whose family lived in exile in Egypt but of Somali heritage, being told you are primarily a Somali is not something you may be happy with – Foucault called this phenomenon epistemic violence. I’ve worked with community and refugee organisations in various parts of the UK and Europe, and it was always interesting to see who was excluded from those organisations. I’ve worked with community and refugee organisations in various parts of the UK and Europe, and it was always interesting to see who was excluded from those organisations, which were often able only to represent the mainstream within those communities. So recognising the need to question our categorisation and how we pigeon-hole society doesn’t only have analytical power I think. It also provides us with a different way of looking at society. It can open spaces for a new way of understanding the presence of people with different stories within society. So this was a London story that then began to be explored in other contexts. If you look at the data of a city like Birmingham in the last census, you have over 150 countries of origin. This was not the case in the past. Look at past censuses and you will see that Birmingham had a few nationalities – mostly from the Commonwealth - with a very high level of concentration. How does this map with the new geography of the city? You can see many more countries of origin but spread all over the city, in some cases overlapping with areas which were traditional minority areas, but now reaching out much more. Also, you have different socio-economic profiles as well, partly linked to the intra-EU migration which is still part of this narrative of superdiversity. So, the concept captures the sense that there is a new diversity in town, but it doesn’t really tell me the reason for this. You have to look at the geopolitics behind it, the shift from colonial to post-colonial, Labour’s embrace of the EU project under Tony Blair. Superdiversity helps you to see something but it doesn’t really provide an analysis of why this is the case. Superdiversity helps you to see something but it doesn’t really provide an analysis of why this is the case. Rosemary: Tell us about how your Institute was set up? Nando: So what we are doing as part of the work at the Institute for Research into Superdiversity (IRiS) is to understand, for example, how people learn to talk to each other in a place when everyone seems to speak a different language. One of the projects we are involved in is called ‘TLANG’, and it looks at linguistic landscapes in public spaces. We are also working on issues of access to public services, but understanding issues of welfare and wellbeing from the point of view of people with different expectations and migration histories. IRIS has a very interdisciplinary mandate. We are not only sociologists, geographers or anthropologists. We try to work with linguists, nutritionists, business studies people looking at the potential for different aspects of local entrepreneurship. Not everyone lives nicely and happily in diversity, and this is very important for us to understand. Corporations love the concept of diversity management. They think that they have solved every problem of inequality once they introduced diversity management! And this is a problem: the fact that this concept is so easily taken on board that it has become commonplace convinces me that it doesn't really tap into certain inequalities and that we need to really also understand the way in which the diversity discourse is used in many institutions. So at IRIS we observe that society has changed in many ways, but we also try to understand what aspects of diversity matter to a particular society. This is a political issue. The politics of diversity is very much the result of other social phenomena and political agendas. It is not a given. Rosemary: I was struck by the example you give of a school where you were doing research, where you were told that the main native English-speaking groups were Afro-Caribbean British students, and the main white group, Polish migrants. Nando: There are two important elements here. One is the way in which diversity is complicating our assumptions about ‘race’ and ‘whiteness’. The other is what we define as integration. And the scale at which we are looking at these things really matters. If you look at London, or any neighbourhood that has a significant presence of various migrants and ethnic communities, what it means to be integrated means one thing. But that will change if you look at the issue at the national level. The proportion changes, the political power changes. It is not necessarily the case that you are going to have a Muslim Prime Minister of Britain very soon – unless I have got it completely wrong. But we do have a Tooting-born Mayor of London who is Muslim. London is different from the nation. The results of the EU referendum have further confirmed this. Rosemary: So far we have rather confined our discussion to traditional categories of diversity, albeit in much more complex forms than we are used to thinking about this. But what about all the other factors that make for diversity today, from inter-marriage to consumption? Nando: The diversity element within consumer practise is something that the Big Data society can easily categorise and they are already doing so. Think about Tesco – it can collate data about each of us and then map it against our ‘identity’. There is work being done on this and it is the kind of work that really would benefit from looking at large data sets. Another issue is linked to ‘race’ and ‘whiteness’. We shouldn’t just associate diversity with visible diversity. Often you will hear people say – “Who should we invite to speak on a panel? Oh – we’re all white!” But it is very important, especially in the European Union context, to understand to what extent the EU has constructed the European citizen, for example, through the Erasmus programme, all the time somehow pushing people into inter-marriage through a more or less explicit policy. This touches on my own family situation! “Let them meet each other and procreate Euro-children”. I am currently trying to begin research in this area, and I have a Freedom of Information request pending with the Home Office. What is interesting is that there is no data on this. If you look at the data from Eurostat, some countries do provide data on mixed nationality and inter-marriage. But the UK doesn’t aggregate them. With the whole debate raging around the implications of BREXIT, it is clear that the whole personal level, family dimension of this has been kept out of the debate. I almost feel as if I have a price tag on myself. I am valuable as an economic commodity, and this is why I am allowed into the UK. It is, to say the least, frustrating. But you are absolutely right – inter-marriage is a very interesting dimension of this, and not necessarily just inter-marriage between someone who is from a ‘visible’ minority and someone who is not. If you think of the complications arising from kids born out of a marriage between a French and a German person living in the UK, it is actually very interesting in terms of understanding where our society is going, and how they understand belonging – a key question we only seem to ask ourselves when it is to do with a British person marrying a Pakastani. But it is a broader question, and if we only included more groups into the equation, it would help us to take it beyond just a narrow ‘security/terrorist’ narrative, so that we could actually think about how society is changing! If we included more groups into the equation it would help us go beyond a narrow ‘security/ terrorist’ narrative, so that we could actually think about how society is changing! At the moment, because we are always thinking about parallel lives in terms of people of Muslim background, this is usually associated in some ways with ‘negative connotations’. But if we were thinking about this more broadly, that would allow a better conversation to proceed, which would also include people of British Muslim background, together with all other forms of mixing and matching in society. Rosemary: What interests me is that you are looking at the horizontal lines of communication between people and its impact on their identity-construction, thereby breaking a house rule of what I think of as ‘multiculturalism’, as the top down way in which the state manages difference. This allows the state to appropriate difference in order to decide who is where in the pecking order and how best to deploy the arts of ‘divide and conquer’ if you like. But in your target area, this process has run away from them. It’s not surprising to me that they would rather not keep the data on it. The future of governance surely has to involve a devolution to people to enable them to sort out between them how they are going to live side by side. This can’t continue to be managed for them, with the proliferation of enemy images which are the constant and inevitable by-product of top down governance. But the complexity of what happens when people do self-determine on this scale is incalculable - isn’t that also a feature of superdiversity in modern society? Nando: Superdiversity is emerging as an alternative to ‘multiculturalism’, once it became clear that this had an ethnic bias underpinning it. ‘Multiculturalism’ always divided people up into silos by nationality or by ethnic group. What superdiversity can allow us to do is to acknowledge that there was considerable diversity within these groupings. But, we should remember that not all of these differences were salient, and reflect on why this may be the case. School field trip, 2014. Flickr/Ivan Bandura. Some rights reserved.The saliency of certain groupings, it became clear, was very strongly linked to the system of governance that it was possible to put in place for them. For example, in the 2000s I remember well how a lot of public money was going to community organisations by nationality. Then, there was a decision to change the way in which money was allocated, and groups started to create umbrella groupings stretching across issues. People began to change the way they were thinking of themselves, either strategically or tactically, and so in a sense these government polices are not only reacting to a reality which is already there, but they are prescribing it, forming it, contributing to a feedback loop which determines the way in which people in society imagine they are related to each other. If everyone is so different, why isn’t this just another difference? Some are rich, some poor.So what is the risk attached to superdiversity as yet another such prescription? I have written about this a lot. And it is that it conveys an atomised image of society. Everything is so diverse that it cannot possibly stay together. Everyone is an isolated atom in that society. There is a neoliberal genealogy to this kind of thinking. It is one way of arriving at Thatcher’s prescription that ‘society doesn’t exist’. A second risk is to convey the idea that wealth inequality is just another kind of diversity. If everyone is so different, why isn’t this just another difference? Some are rich, some poor. This is why I was saying that mapping superdiversity doesn’t necessarily get you any closer to the causes of that diversity. Instead we have to look back and take those structural factors that have produced that diversity into account. This is partly due to the changes in how the world operates: there has been the post-Soviet migration, the European Union becoming a community – there are reasons why societies have become superdiverse which are important to bear in mind. Then comes the challenge. Diversity exists, and it is all for the good, despite all the attempts to limit migration and so forth. Over time and generations it is producing a transformation in society. People are learning new ways of living together. But what is the best way to engage politically with this superdiverse demos? Rosemary: We began our conversation talking about the very different responses of the various European nations to the migration challenge, and people’s obsession with borders because it gives them something to cling onto in a globalising world that is changing so rapidly, some brief illusion that they still have some control over ‘Us’ – whichever category that is for them. But you are dealing with a reality – a superdiverse reality – in which this is no longer the case. Now, of course, as you say, there is a neoliberal reading of this which lies in waiting to remove the issue of power and the practise of politics from the scene. But that doesn’t make a monocultural national or any other kind of ‘Us’ – the role in which democratic majorities are often cast – any more real in itself, in terms of facts on the ground. Such monocultural entities simply don’t exist. Superdiversity exists, inside the majority and inside the minorities. Isn’t that the challenge? Nando: Yes that is the challenge. But that is where the achievement of Sadiq Khan in becoming mayor here in London is so interesting. It is really important, his election, because it reminds us that there is a way of finding a joint narrative, or something that can unify and talk to this diversity without crystalizing it or sending a letter to everyone by surname as the Tories did during the electoral campaign. 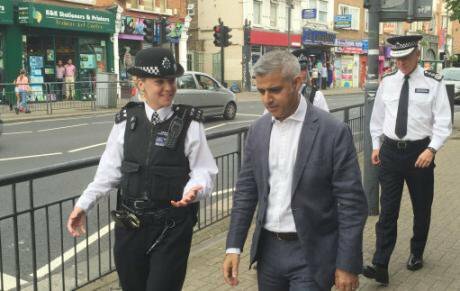 Pc Lucy Hartshorn talks with the Mayor of London Sadiq Khan, during a walkabout in Tooting with Metropolitan Police Commissioner Sir Bernard Hogan-Howe,July 21,2016. Scot D'Arcy / Press Association. All rights reserved. Can this narrative be scaled up to a different level? In this regard some other countries are more interesting than the UK. Take Canada. The new Prime Minister is actually doing something very interesting embracing Canadian identity as superdiverse. So Canada is not about people learning ‘how we do things’. But Canada is this fact that we do things in multiple ways. Canada is this fact that we do things in multiple ways. This is without denying that there are conflicts and things which need to be smoothed over or negotiated. We don’t want to go in for some beatification of superdiversity and just pretend that everything is fine. There are tensions. People can easily mobilise these insecurities. As we see now with the rebuilding of national borders. There is an agonistic landscape where continuous attempts are made on people to split them up and divide them against one another. What I am trying to work out is this. How do we move from this bottom up, horizontally creating community of values and praxis, one that has been reinvented across various lines, without risking that it collapses into the kind of hyper-localism I referred to before – the situation in which the line that is drawn is not at the national level at all, but at the neighbourhood watch level i.e. everyone on my street is fine, but the problem is the people in the next street. If you look from the perspective of a rightwing government for which the small state is desirable – I’m thinking of the initial Big Society mandate that Cameron brought with him into the job – we were all meant to be spending our time deciding how many hours we kept the street lighting on for or how to spend money on fixing the potholes in the road. That’s fine… but not if this becomes such a diversion, that I leave to you all the decisions about energy, military intervention, and so forth. So we have to be careful that we don’t fall into the trap of ‘everybody is happy doing the small things’. We have to be careful that we don’t fall into the trap of ‘everybody is happy doing the small things’. And we have to check this. It is very important that a small community is capable not only of networking, but can they engage with different levels of society, and can they engage in narratives that cross borders? There are a lot of issues to engage with here. Rosemary: How important has the refugee welcome initiatives across borders been over the last period in your estimation? Nando: The internationalist movement is important. The Refugee welcome movement within the European Union was very important, because it was really the only thing which kept the EU project alive as a political project. On the other hand, we were still in danger of saying, “Look at us Europeans with our liberal values, which are so nice!’ The research I did into new volunteer groups in Rome as well as established ngos from various backgrounds suggested that it was all too easy to end up with millions of Xmas jumpers in a warehouse, when that positive energy should have been channelled elsewhere. In the UK for example, the refugee movement has had to handle the fact that there were no refugees coming in. The narrative was very much built around Syrian refugee families being in need, and you don’t have Syrian refugee families in this country. There are of course all the other refugees… In some places they created better networks. Berlin had a website where the different resources were noted and could affect people’s activity, for example. So it was very good in terms of projecting an idea that while you have an Austria and a Hungary building walls, you also have a huge civil society which is open, progressive and wants to provide succour to refugees as far as it is capable. That is very positive. In Palermo, the mayor took strong measures and there have been a lot of such initiatives which have achieved much. But they need to be better supported if they are not to lose traction. What is happening now with the refugee crisis is that there is a sense of fatigue. You can see that there is less media involvement and on the whole negative. Volunteering takes a lot of effort and commitment, and we have seen a new process of criminalisation of some of that activity. Rosemary: But do you think this whole process is redefining what cities are? Nando: In the long run I’m sure it is. Barcelona within Spain is not so much of an exception after all. In the past, Spanish large cities have always had a more open approach to undocumented migrants. While other cities were just following what we might call the nation state rules about it, you know: “you are ‘illegal’ – so you don’t have any entitlement”, Madrid and Barcelona were issuing local ID cards that allowed people to have access to medical services. So in a sense, there is a tradition of civic engagement, not just from the point of view of the activists, but also from the institutions, which is really important. In Italy too you get further examples of this. Italy was never that strong as a nation state, so Italians will always talk about their city of origin, regionalism and the parish – local authorities are a space where people think politics is really important, more important let us say than in other countries. In Italy the Prime Minister changes every five minutes, so the mayors have much more traction than the prime ministers. We don’t have that in Britain. But in London we have a directly elected mayor with a mandate which enables him or her sometimes to challenge the national government. Rosemary: Is there a future here which could do better at provision than the bureaucratic nation state? 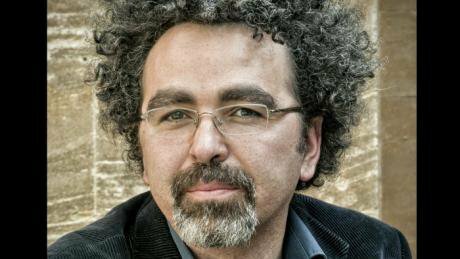 Nando: We have to look at the potential for the state itself. In the sort of political divide we are confronted by – with Cameron’s localism and the Big Society – there is a different role that the state could play. It could function as a control mechanism over neoliberalism and the markets, by acting in the role of a facilitator. What is interesting about the experience of Palermo or Barcelona is that the state locally is engaged very strongly with these initiatives that we are talking about. They don’t become supplementary which would mean taking the place of the state, and this is exactly what Cameron has done by creating a bank of volunteers for the Big Society who put their hours into replacing the services that he is cutting. If you can keep that line clearly defined between the state and the activities on the ground, then there is hope. The key is not to collapse these levels, one into the other, but to have an enabling state. In the UK, the movement for sanctuary is also interesting. What I would like to see more of there is a bridging with other issues and concerns. Already, for example, we have seen tensions around such initiatives as universities offering bursaries for Syrian refugees. This prompted opposition both within some sections of the Labour party and some academic circles, who began to say, “ Oh, why don’t we help the UK’s white working class with bursaries?” The danger of course is to trigger a war between the poor. The key is not to collapse these levels, one into the other, but to have an enabling state. It is important to be able to create broader, more ambitious alliances that are not purely symbolic but that can go farther. Here there are other European experiences, Greece included, to draw on, where they are working on bringing different constituencies, with their different issues, together. In Scampia in Naples, for example, famous for the film Gomorrah about the local mafia, based on the book by Roberto Saviano, they have created this community centre called Mammut in a square which has been painstakingly rebuilt out of the wreckage of drug abuse. Every day they practice and build community with the ‘local’ kids, with the migrants, with the Roma people, and they do activities and they run a newspaper. It is about every day practice and not at all about headlines. They have been attacked by the local mafia people, had their funding cut by the local authorities sometimes, and it is a work of love, but also a work which takes a lot of time and stamina. You can’t just drop in for the odd headline, only to collapse straight afterwards. You are building links with the working class, and also with the underclass – there are many kids who have their parents in prison, more than in any other parts of Naples. 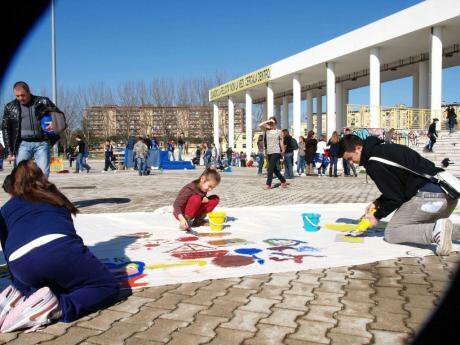 But they have workshops to show kids how to fix bikes, and they have artists coming in to teach people how to use print, and these activities have really made a difference in the way this area is perceived by people and who you focus your anger against. It always used to be the Roma people in the past who were the target for violence. But you don’t see that now on anything like the same scale. So this is not about fixing the hole in the wall, but it is about reinventing the locality. 'Mammut' in Scampia. Educare alla liberta, 2012. Some rights reserved.This work also involves building a language that people can share, and creating coalitions around issues. Some local authorities are better than others at doing this, and in this regard some parts of London, such as the newly gentrified areas of east London where research is currently going on, I think, constitute a very important laboratory for the future.